Colonial Revival. Complex consists of 2 parts: tall, 2-story, 5-bay brick parish house (Sunday school building) and 2-story, 8-bay long church. Church has 2-story pedimented portico with Corinthian columns. Brick and wood steeple terminated in metal spire and is based on Renaissance designs. Doors have classical surrounds. There is also a secondary building: 2-story, 5-bay Georgian Revival Sunday school building built slightly earlier than the church. 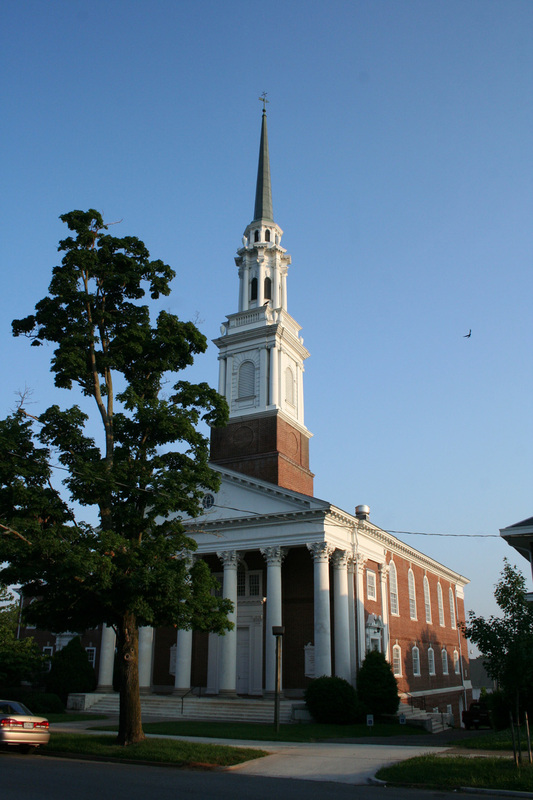 This church is the physical result of the merger of two Rivermont Methodist congregations-Centenary Methodist and Rivermont Methodist Churches in the 1920s. The Sunday School building was constructed first in 1923, with the church completed in 1925-26. Both were designed by Stanhope Johnson with assistance by Addison Staples. The church is modeled on St. Martin-in-the-Fields in London and is one of Johnson's first works in the Georgian Revival style. The tower bell came from the Third Street Methodist Meeting House, the mother church of Methodism in Lynchburg.